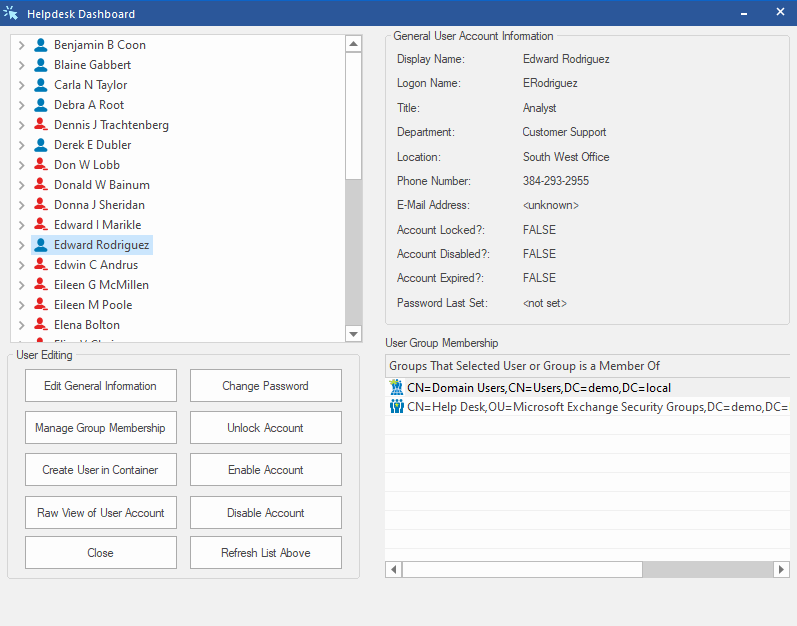 DSRAZOR for Windows is top-of-the-line Active Directory delegation software for IT professionals who are tasked with managing networks in any industry. In addition to reducing your need for native tools like ADUC, DSRAZOR can actually lower training costs. The application's ease of use makes training your helpdesk staff easier and cheaper than ever. Create your own customer solutions! 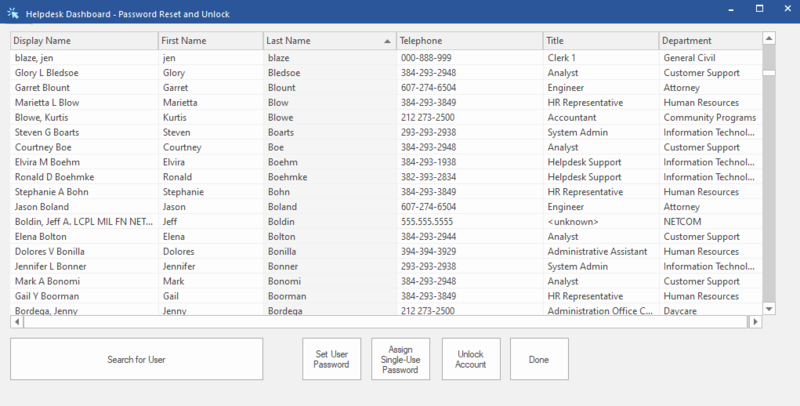 DSRAZOR's powerful Designer allows you to quickly and easily create your own custom Active Directory helpdesk tools. The freedom to create your own tools makes delegation to your staff that much easier. Let us create a solution for you! Request the solution you require and have it delivered prompty by our support team. This service, called Create My Solution, is included with your maintenance. Each helpdesk solution created with DSRAZOR can be saved as a stand-alone executable file; since there is no 'console' to learn, training is simplified and security concerns reduced. and many more delegation solutions.